If you’ve recently begun sprouting seeds, grains and legumes, or are a long time sprout fanatic, these “rawsome recipes” from Incredibly Delicious: Recipes for a New Paradigm will spark your desire to have sprouts at every meal. If you’ve never sprouted before, but are interested in starting, check out this simple guide to sprouting! This recipe is protein-packed and delicious. If you’ve never tried raw hummus before, it has a much greener and brighter flavor than cooked hummus. In a food processor, using the “S” shaped blade, homogenize sprouted garbanzo beans. Add remaining ingredients and process until smooth. Chill and serve. This salad provides an energy-packed meal or snack. 1. Combine grated and diced veggies, sprouts and seeds. 2. Mix dressing ingredients separately; then pour over the top of the vegetables. Mix well. Marinate for 20–30 minutes if desired. These two salads are scrumptious on their own, but make a beautiful, colorful and flavorful meal together as well. Combine all ingredients except the cucumbers and tomatoes. Toss with dressing of choice. * Add cucumber and tomato to the top. * I love a good raw tahini and lemon dressing. Simple, healthy and zesty! Soak quinoa for six hours and sprout for one day, to maintain freshness. Mix all ingredients together in a bowl. Allow to marinate for 10–30 minutes before serving. I used to think that mung beans were simply something to top your vegan Pho with, but now I know that they are a protein and fiber rich tasty addition to any salad! Mix all ingredients together in a bowl. Allow to marinate before serving. 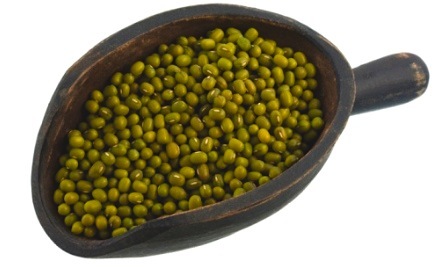 * Check out the amazing protein content of mung beans! Sprouted lentils are probably my favorite type of sprout. They are filling, vibrant, cheap to make and oh so tasty! 1. Place the first three ingredients in a bowl. 2. In a blender, blend the Sauce ingredients until thick and creamy. Pour over the vegetables. Mix well. Chill and allow to marinate for several hours before serving.